Thank you for inviting the American Civil Liberties Union (ACLU) to testify before you today in support of H.R. 1900, The Privacy for Consumers and Workers Act. The ACLU is a private, non-profit organization of over 275,000 members dedicated to the protection of civil rights and civil liberties. I direct the ACLU’s National Task Force on Civil Liberties in the Workplace. We believe that H.R. 1900, if enacted, will be an important step forward in protecting the privacy of Americans at work. The ACLU is deeply concerned about the state of privacy in the workplace today. The use of computers and other electronic equipment is exploding. It is estimated that almost 50 million Americans will use computers at work by the turn of the century. While this holds the promise of multiplying our productivity, it also poses threats to our privacy. Computer screens can be read without the user’s knowledge. Telephone calls can be secretly monitored and recorded. Electronic mail can be covertly intercepted. Hidden microphones and video cameras can record our every move without our knowledge. Not only are these practices technically feasible, but the rapidly declining cost of electronic technology also makes them very affordable. Unfortunately, many companies are taking advantage of these conditions to violate the privacy of their employees. The ACLU receives over 50,000 complaints every year. The majority of those complaints do not involve any government agency; they are complaints about the workplace. Privacy violations are the most common workplace complaint. We have had nurses discover hidden video cameras in their shower room. We have had employees whose offices have been bugged. We have had employees whose phones have been tapped. Despite this the ACLU is not opposed to electronic surveillance. We recognize that managers need to monitor the quality and quantity of employees’ work; and that, in an electronic age, some of that monitoring will be electronic. A balance needs to be struck, however. Employees are human beings. They have – or at least ought to have – a right to privacy. That right should not disappear when people go to work. Employers need information about job performance, but that need must be balanced against employees’ reasonable expectations of privacy. Unfortunately, current law does not strike such a balance. In fact, it does not even attempt to strike a balance. The ACLU supports H.R. 1900 because it provides needed protection for personal privacy that current law does not provide. What this has come to mean, through the defining process of federal litigation, is that employers cannot deliberately monitor an employee’s personal communications which are made at work. For example, if an employer provides separate telephones for employees to make personal telephone calls, those telephones may not be monitored. Where separate telephones do not exist, and employees must make their personal calls on their business phones, the employer must hang up once it realizes it is monitoring a personal call. But if the electronic communication is work related, the employer can do anything it wants. While the ECPA takes the valuable step of protecting personal communications from employer monitoring, it does not even attempt to balance the rights of employers and employees where business communications are concerned. For business communications, the employer has all the rights, the employee has none. State law also fails to protect our privacy. There are no state statutes regulating the use of electronic surveillance on the job. There is a common law right to privacy in virtually every state, which frequently applies to employees. This right, however, covers only the few indefensible abuses that no sensible employer would engage in anyway – such as strip searches. It offers no protection in the more common cases where the rights of employers and employees must be balanced. The failure of our laws to protect privacy at work is especially disappointing when contrasted with the protection given to privacy in other contexts. Even criminals have more privacy rights than employees. If the FBI wants to tap the telephone of someone who is spying against this country, they must get a court order. If they tap that spy’s phone without a court order, they are in violation of the Omnibus Crime Control Act. The same is true if the police want to intercept the electronic mail of the mafia. Only in the workplace can such surveillance be conducted without safeguards. We believe the current state of the law is unconstitutional and unfair. As members of Congress, you need to know what your staffs are doing. You might sit in on an important meeting to see how your staff handled it. But you would not bug the room, so you could listen in without their knowledge. “Knowledge” is the essence of H.R. 1900. The bill does not restrict an employer’s ability to monitor the work of its employees, but it requires that the employer tell the employees when they are being watched or listened to. 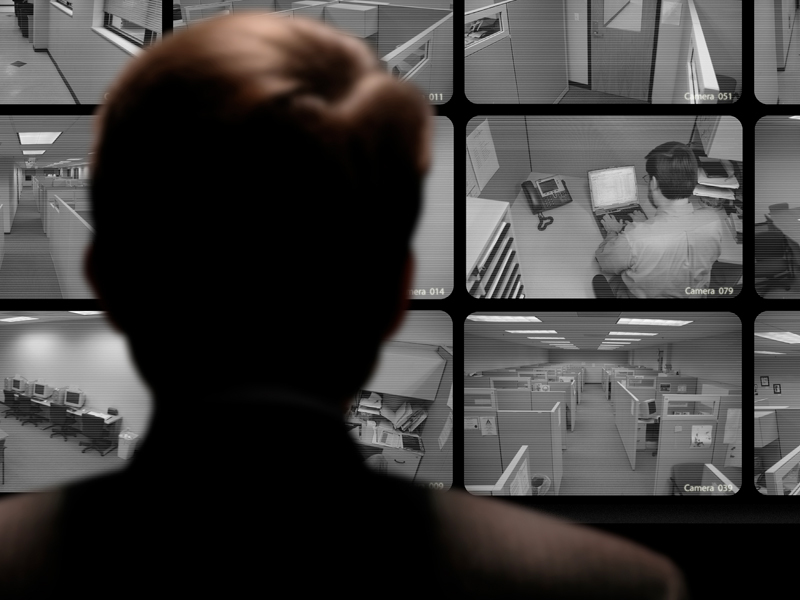 Eliminating covert surveillance is not only fair, but it improves employee performance in the long run. The technocrats who design these workplace surveillance systems have forgotten that employees are people. You can slice them up into tiny pieces and scrutinize them under a microscope, but in the process their spirit is destroyed. An employee who does not care is not a productive employee. The report on electronic surveillance by the Congressional Office of Technology Assessment discusses several real world situations that illustrate this. The most well-known is the Hotel Billing Information System (HOBIS) office in Tempo, Arizona. Under an arrangement worked out by AT&T and the Communications Workers of America (CWA), all 100 operators were organized into an autonomous work group. Covert monitoring was eliminated. The results are eye-opening. Quality of service improved. Customer complaints went down. Absenteeism decreased. Grievances declined. Management costs went down. Training costs went down. From everyone’s perspective: employees’, managements’, and the customers’, the office worked better without covert surveillance. The same lesson emerges from the West Virginia experience. For several years, West Virginia had a statute forbidding covert electronic surveillance at work. During that time, West Virginia Bell’s operators were rated better that most of their secretly monitored counterparts in other states. Most Americans cherish deeply their right to privacy. No one should have to spend years of their working life never knowing when they are being secretly photographed or when their employer is listening to their telephone conversations. H.R. 1900 is a modest step towards constructing a balanced law of workplace privacy. We urge you to support it. We look forward to working with you on this important matter.